A little known hidden trick allows for a nice cursor hover effect to follow your mouse as it goes over an application, folder, or item within an opened Dock stack of Mac OS X. 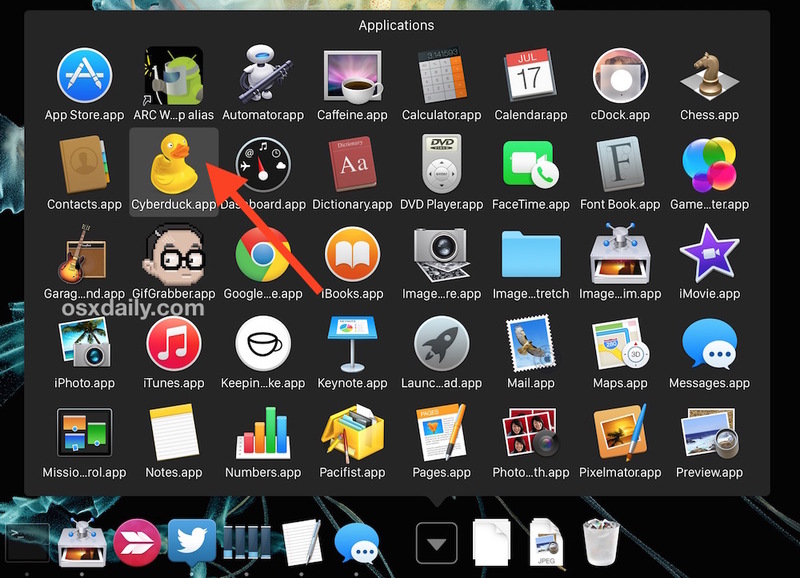 This makes navigating within Dock folder items a whole lot easier on the Mac and only takes a moment to turn on. To enable the secret option yourself with a defaults command, so here’s how to activate it. The command will both enable the hidden stacks highlighter, plus it will restart the Dock immediately upon completion, it’s all in one as long as your syntax is on a single line and entered properly. Now just open a Dock Stack and move your mouse cursor over an item to see the effect. I find Stacks Grid view to be much more useful with this enabled, but try it yourself, and yes it works on the Recent Items stacks if they’re in Grid view too. Why this isn’t enabled by default is a little curious to me, maybe not everyone will like it though. This works great and I agree this should be turned on by default. When I restart rather it goes away and I have to do it again, any way to prevent that? It only works on GRID view. It didn’t work for me either until I noticed that it’s not ‘hilite’ but ‘hilte’ in the command listed above. Yep, works here fine. Just have to set to grid view. Would be nice if they did this also in fan view. Thank you so much for the hint. That REALLY MAKES the Stacks feature much easier to use. This started working on it’s own, but then stopped with 10.6.1. I used your solution, but it didn’t work. At further glance, I noticed that the word “hilite” was spelled as “hilte”. I edited the plist file to spell the word as “hilite” and it worked right away. wn, but then stopped with 10.6.1. I used your solution, but it didn’t work. At further glance, I noticed that the word “hilite” was spelled as “hilte”. I edited the plist file to spell the word as “hilite” and it worked right away. anyone get this to work in snow leopard? seems like it would be ON by default in this OS.